Mahabaleshwar is a popular tourist destination in Maharashtra. The hill station attracts many visitors who are looking for a short and relaxing break. After a day spent sightseeing, there a quite a few places that tourists can explore after dark to continue the fun. From late night eateries to bars and even a shopping market, there are some interesting night hangout places in Mahabaleshwar. We have travelled its length and breadth to bring to you a list of the best places to visit at night. You might want to note that most outdoor places in Mahabaleshwar close by 9 pm. Restaurants, however, are open till about 11 am. Although boating rides close by 7 pm, you can hang out on the banks of the Venna Lake till around 9 pm. During the peak tourist season, many tourists stay back late to enjoy a fun outing with the family. There are a few snack stalls offering delicious eats for those looking to grab a bite. The lake is surrounded by benches and there is a small pathway that is a nice place for a late evening walk. The Panch Ganga Temple lies at the spot believed to be the origin of five rivers. It is one of the oldest temples in Mahabaleshwar and is worth visiting at night. When the lights take effect, the temple looks stunning. Drop by to offer prayers and to enjoy a few hours in the temple’s calm and soothing atmosphere. The Arthur’s Seat is a popular tourist spot in Mahabaleshwar. Although it is difficult to see the stunning views of the hills at night, the ambience is fantastic. There are a few carts selling ice creams and snacks, so many people drop by in the evenings to enjoy the local street food. Entry to this point is restricted post 10 pm for safety reasons. Situated near the Venna Lake, this is a great place to chill out in the evenings. Open till 8 pm, the park has a few slides for kids and many benches to relax on. 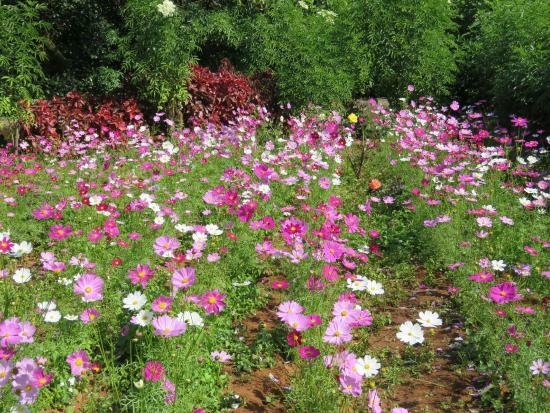 Soak in the aromas of the flowers and savour the cool breeze of the Venna Lake. The place is buzzing post 5.30 pm with locals and tourists heading to the park after enjoying boat rides on the lake. Home to the best strawberries in the hill station; go to the Mapro Garden to sample these delicious fruit. Apart from strawberries, you can savour a variety of juices, fruit chocolates, ice creams and milkshakes. Tours to the garden are conducted from 9 am to 6 pm. Post that you can spend a few hours in the garden relishing the fresh air and aromatic fragrance of the fresh flowers around. The Wilson Point is a great spot to watch the sunset. There is a road that leads straight to the point, so you do not have to walk much to the see the stunning view of the hills. Many tourists who travel by their own vehicle often park at the Wilson Point to catch stunning views of nature and enjoy a few snacks outdoors. The best time to visit is during the monsoon and the winter. The Town Bazaar is a famous marketplace in Mahabaleshwar. Shop at this market for local products such as strawberries, sweets, junk jewellery and spices. Shops and stalls are open till about 10 pm and there are a few restaurants serving delicious local delicacies, in case you are looking to grab a bite post shopping. Carry cash, as most shops do not accept credit or debit cards. Going with family to Mahabaleshwar? Visit Velocity Entertainmentz for a night out of fun and excitement. At this entertainment zone, you and the family can enjoy many adventure activities and sports. Popular activities to enjoy here are go-karting, bull riding, zip lining and the thrilling drop tower. There is also a food court and a strawberry parlour serving delicious food and dessert. Velocity Entertainmentz closes at 11 pm. 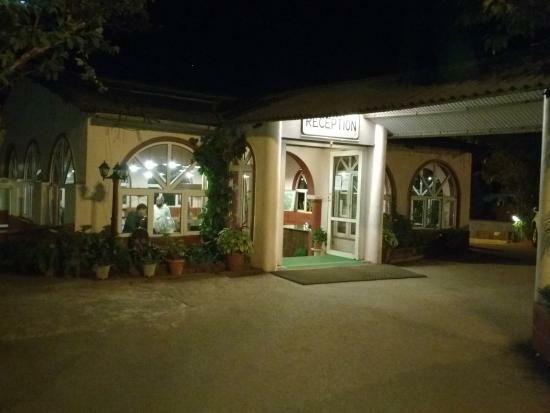 Overlooking lush green plantations, this bistro is good for dinner in Mahabaleshwar. Located on the first floor of the Hotel Dreamland, it serves a variety of cuisines. Take your pick from Chinese or European foods or choose to go desi with Indian food. The beauty of this bistro is that the vegetables are sourced from the hotel’s own organic farm, so expect fresh and delicious food. This restaurant overlooks the hills and is perfect for a romantic dinner date. From the menu, you can choose from a variety of non-vegetarian and vegetarian delicacies. We love their pastas and pizzas; they serve some of the best Italian cuisine in Mahabaleshwar. After dinner, you can spend a few minutes walking around the beautiful garden that has a lit statue of Buddha. Dine under the Mahabaleshwar’s starry skies at Angaare. Adding to the cosy and fun ambiance of the restaurant is an amazing selection of tandoori and Indian foods. Our favourites from their menu are the tandoori pomfret and the galouti kebab. If you are a vegetarian, try their paneer shashlik, which is succulent and delicious. For cheap, good vegetarian food, dine at Rajmahal Restaurant. Centrally located in the market, this place is a favourite amongst local shopkeepers who come to grab a quick bite before heading home to call it a day. For the best dining experience here, order the Maharashtrian Thali that comes with three types of dal, a vegetable dish and pickle for Rs.100. You can also get medu vada and misal pav at this popular vegetarian joint, but it is famous for its thali. For dessert they have strawberry milkshake and a variety of ice creams. 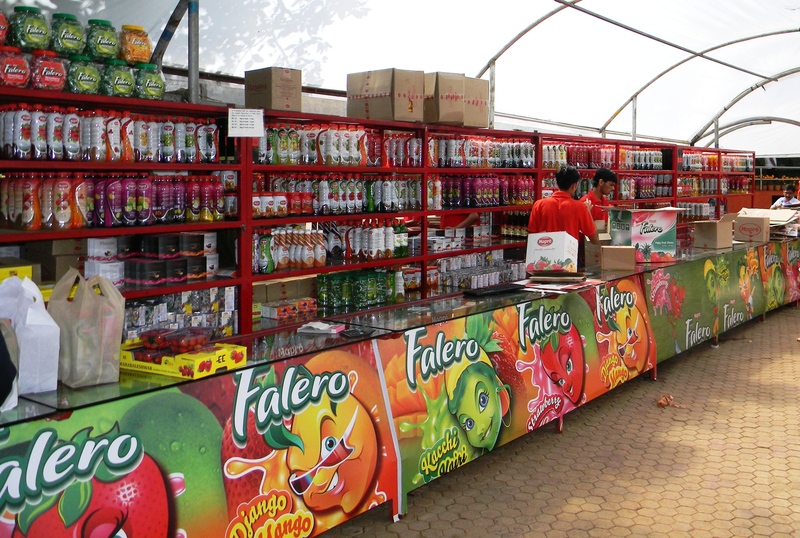 Shoppers at the Mahabaleshwar market often stop by at the Bagicha Corner for a dose of strawberries. 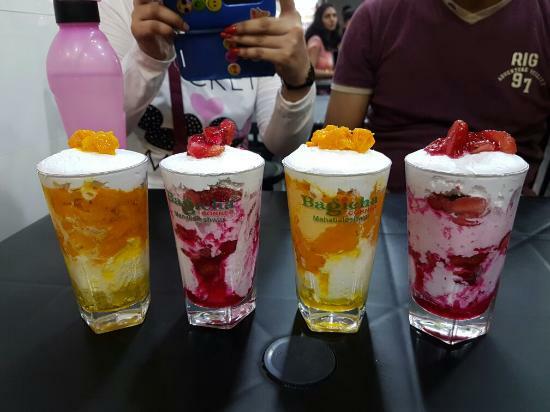 From strawberry ice creams to milkshakes, you will enjoy the variety at Bagicha Corner. Feeling like a quick bite, savour a few sandwiches. All the food items served here is pure vegetarian. Biso at Citrus Chambers is the place to grab a late night cup of coffee or snacks in Mahabaleshwar. Open 24/7, this cafe serves local Indian cuisine and a few European dishes. The place is frequented by night owls who drop by to hang out into the late hours in Mahabaleshwar. Hotel Dreamland in Mahabaleshwar has a couple of restaurants that offer good vegetarian food. At this hotel, you can enjoy Gujarati, South Indian, Punjabi and Chinese food. There is an ice cream parlour here too, where you will find a variety of ice creams and milkshakes. One of the most fancied tourist hill stations in Maharashtra, Mahabaleshwar has great places to explore at night that are safe and enjoyable. The main market and Mapro Garden are must-visit places, apart from these there are a few bars and some points that are worthy of exploring at night too.